The fact that small business owners are going to face challenges in growing their business and making it successful here in the digital age isn’t likely to change. It’s all too common to be up against box stores and large nationwide chains that boast marketing budgets, development teams, programmers, and pricing freedoms that simply aren’t an option for the smaller guy. But there are ways to give your business a boost with regards to your digital marketing efforts. We encourage you to become familiar with these various online tools that are proven-effective for giving big boosts for small businesses, and then begin utilizing any number of them for yourself. From heat mapping to email marketing, they can help you generate more customers AND allocate your digital marketing budget more wisely and whether you’re an online store or a physical retail shop is of no matter here. These tools are easily accessible, surprisingly simple to implement, and again – proven effective for people just like you. Google Alerts gets thumbs up right across the board from small business owners. All you need to do – after registering for the service of course – is select keywords that are related to the nature of your business and then request to be notified by Google Alerts when an article is published with one of those keywords. This is particularly helpful for quickly and easily finding content for you to link to from your company blog, keeping in mind that doing so is an important part of maintaining your SEO. You can also receive alerts for when your company name is mentioned on the web, allowing you to share good news, commendations, or more simply when you’re being talked about. You can also set up alerts for your competitors as well, and be informed similarly when people are talking about them. For us, SumoMe is pretty much a must-have for small businesses. It provides a suite filled with free lead-generation and analytical tools, the first of which provides a website welcome mat that introduces your business and collects email addresses (with permission of course). Another is a heat map that is able to identify where and how visitors are clicking on your website. Along with dozens of other free tools like these, we’re almost certain you’ll want to incorporate it. Quality graphic design is often beyond the means of most small business owners, and most of us in general really. Canva is great – it lets anyone assemble beautiful designs for their digital marketing collaterals. Choose from a large collection of templates, and design items like social media cover pages, blog post featured images and presentations. We like to think of it as Photoshop for the non-computer savvy types. Email marketing is so important these days for increasing your exposure to prospective customers and establishing your visibility, and with MailChimp the first 2,000 email subscribers are completely free. As your business grows, your MailChimp package can grow with it. Sign up today and start building mailing lists and reaching out to people the smart and effective way. Social media marketing is absolutely huge these days, and you can’t afford not to be promoting yourself on at least a few (if not all) of the major platforms. A small business without a social media marketing strategy may well miss out on huge segments of the market that their competitors are all over and reaping the rewards. We’ll go ahead and assume you don’t need to be further convinced of this, so on to Buffer. With Buffer, you can manage all of your accounts from one dashboard and schedule your social media posts well into the future so that you remain consistently visible with fresh content – a definite must-do. Buffer shares your content at the best possible times throughout the day so that your followers and fans see your updates more often. And you can even create images with the perfect size and format for Twitter, Facebook, Instagram, and even Pinterest. Great customer service goes a LONG way in building repeat customers, and that’s also extremely important and something any business owner should be striving for. Zopim is great for improving the customer service experience. It offers a free and paid plans for live chatting with your customers while they are online, enabling you to reach out and speak to the visitors who are currently at your website, and by giving them this level of first-person interaction they are bound to feel more ‘catered to’ in regards to their consumer experience. You have the ability to set triggers for when the chat box pops up, and Zopim provides a chat history to go back and see what you have talked about in the past with customers. Zopim also gives you real-time analytics to evaluate what users are doing on your site, which you can then use to tailor your responses AND create a more streamlined and helpful FAQ page if you have one. In addition, Zopim gives you the option to break your team up into departments so that customers’ inquiries are directed properly and to the right individuals. If you’re in e-commerce and sell any type of product online, Zopim comes highly recommended. Businesses without relationships tend to become out of business before long. Fostering and managing relationships is of key importance, and Zendesk helps make them easier by delivering an effective Customer Relationship Management (CRM) module for managing your contacts and providing the best customer support you can. This smartly designed help desk software has options for knowledge bases and reporting, and you can setup multiple agents so that you’re never limited to having just one team individual interacting with inbound customers. Community forums, widgets and business rules add to the appeal of this great piece of software. Over 75,000 companies trust Zendesk with their customers, and you may want to as well. 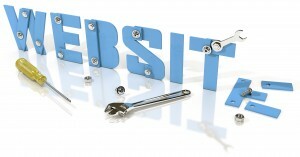 Try it out for yourself, and see how you can retain site visitors! It wasn’t that long ago that cloud storage was making quite the splash on the IT scene, and the fact that retaining files and data didn’t have to exclusively occur within hard drives was quite a revolutionary development. Right from day one, however, some people had concerns about the security of their information and other concerns related to a form of storage that wasn’t exclusively theirs. 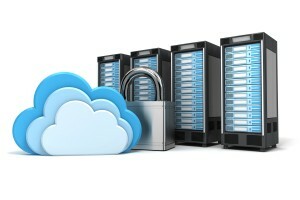 If it’s not my storage, they asked – then what’s to stop someone from reaching into that ‘cloud’ and helping themselves? The question’s fair enough, and in truth there’s been increasing concerns over pretty much every aspect of exchanging data over the Internet. A public survey down south in the States earlier this year revealed that 47% of people have cloud security concerns, and 80% of respondents support federal certification of cloud services. We can’t be certain if those same percentages would be reflected up here, but they likely would be. The next question, though, would quite naturally be – what would a web hosting or other related-service provider have to do, show, or prove to be federally (or nationally in our case) certified? There are all sorts of examples. Amazon’s Kindle and Apple’s integrated cloud are two good ones of where extremely in-demand products are establishing the cloud as the norm for accessible data and services. Small and medium sized businesses are also coming around en masse to cloud hosting, and e-commerce is especially familiar with the cloud now too. So for as uniformly well-received as its been, the overall security of cloud computing is still a work in progress. But the key word there is progress. Progress is being made, and recently very much so. It’s a common belief that – because the cloud is so increasingly popular and yet still a remote ‘location’ for external storage – hackers will be particularly enthusiastic about seeing if they can get their way in and pillage the village. The extent to which that’s true is highly debatable, but fact is it’s increasingly important for web hosting companies offering cloud products to anticipate weaknesses in cloud security and address them aggressively. It’s the everyday guys and gals who are becoming more savvy with potential security issues connected to cloud computing, and as such web hosts are often being presented with very direct questions about what they do to counter very specific risks. We’ve seen a trend where people see ‘malware’ as more than just a strange word, and are now actually quite familiar with it and the threat it poses. We think that’s great, an informed consumer is good for everyone in the big picture and the more of them that push us to be at our best makes for better service and more satisfied customers along the way to being a more successful business. The third more there was definitely intentionally added for effect, but it’s not entirely out of place as there has been extensive differentiation among cloud providers in the last few years. The aforementioned trend of catering to security concerns had contributed to it, but equally front and center behind the trend is a focus on creating infrastructure that works more effectively for specific user groups. This inevitably leads to increases in service rates, but solid infrastructure is definitely worth the money for most of us so that’s unlikely to see much opposition. One very noteworthy trend here is automation with the way individuals receive these different ‘wrinkles’ to their cloud hosting and services. For you as a consumer, it’s going to be helpful to understand how your host’s processes are going to go with all of this, so feel free to ask if there’s anything you want / need clarification on. Then there’s the issue of communicating advantages to customers. Quality customer service is important, but it’s only part of the equation. Cloud web hosting providers need to also find proven-advantageous points of differentiation and market them to customers effectively. One such example is Cloud VPS hosting, with all the ‘elbow room’ of a virtual private server paired with the super functionality of the cloud. There’s sure to be more developments regarding Cloud hosting in the near future, and as always we’ll be as on top of it here at 4GoodHosting.